…even though she doesn’t get to keep it. The quilt is going to be mailed off to a friend in Arkansas. How very, very beautiful. Colors/fabrics are so warm and cozy as well as pretty. Lovely gift. Some of my favourite pieces of fabric…I may have to make another one for the Quimper Hittys! Arianell has a good eye for fabric and color…no doubt your friend in Arkansas will be delighted with this cozy quilt. I hope so…I always try and make something that I would like to receive, and this fits that description! Both Arianell and her human have very good taste …not to mention skills! I am sure the friend will be very pleased!! Thanks! 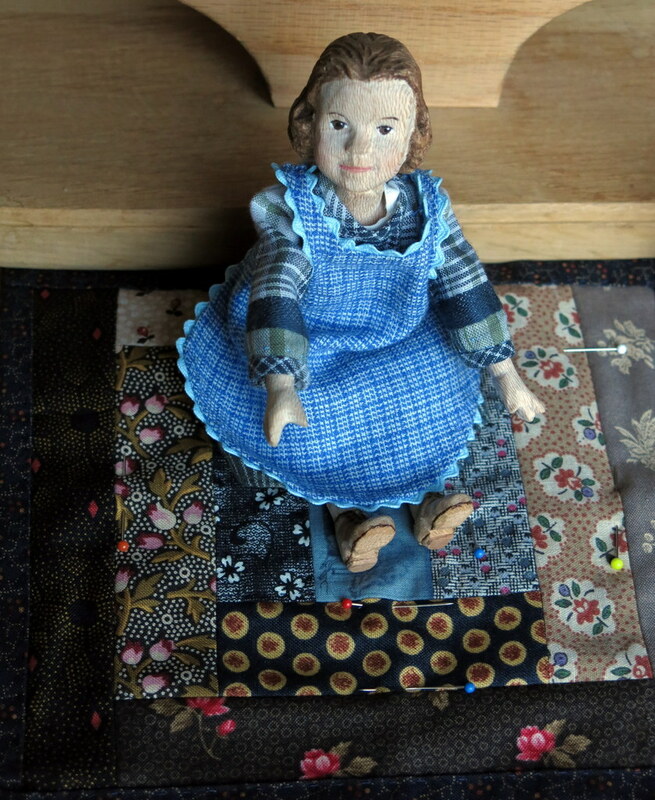 I enjoyed making the log cabin…I think it makes a really nice quilt, my grandmother made several, all shredded now through use and love. I am very excited! The log cabin pattern is one of my favorites, and I’m so happy to have this as a helper item for the Branson Hitty Aux Arc Event. Thank you so much! You are so welcome, it is going to be a fun weekend!